If you’re wondering if Christian Hackenberg has really been as bad as reported this offseason, wonder no more. The New York Jets are clearly going into rebuild mode, or tank mode if you prefer, this year. The exodus of veteran players has picked up in the last week, with linebacker Davis Harris being cut and wide receiver Eric Decker dangled as a trade candidate before being cut. In theory Christian Hackenberg, a second-round pick in 2016 out of Penn State, would be the perfect candidate to start under center for a rebuilding team. But he did not play at all as a rookie, which is a red flag itself, and the Jets signed soon-to-be 38-year-old Josh McCown to be their starting quarterback. Reports out of offseason practices have been critical of Hackenberg’s performance, including reporters being put in some danger due to a few particularly stray throws. 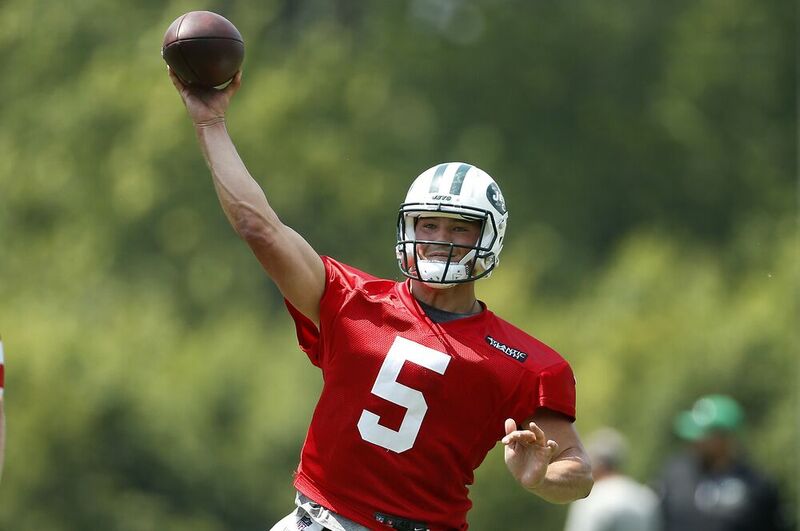 The Jets are going through mandatory minicamp this week, and Hackenberg has clearly not improved. To be fair, Daniel Popper of the New York Daily News did also point out a good throw from Hackenberg during Tuesday’s practice. But it’s clear that praise-worthy throws from Hackenberg are the exception and not the rule, in a setting that is set up for the reverse scenario. McCown seems fully entrenched as the Jets’ Week 1 starter, which is faint praise to say the least. But he’s hardly been a picture of durability when he’s gotten an opportunity in recent years, so another quarterback will surely be needed at some point. Bryce Petty seems to be first in line if (when?) McCown goes down, after he got his first substantive action last year (six games) and threw for 809 yards with three touchdowns and seven interceptions. It’s worth wondering if undrafted rookie Dane Evans will push for a spot on the 53-man roster, and if he does who the odd-man out would be. Some bets would be on Petty, but cutting bait on Hackenberg seems just as likely. Then again if McCown goes down, and the Jets do somehow embrace tanking, Hackenberg could make multiple starts during the regular season. Based on his showing during OTAs, that’s a sure-fire way to lose a lot of games.